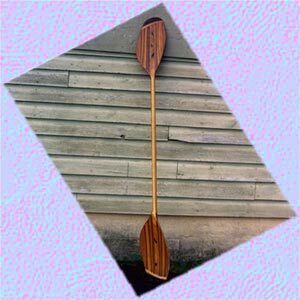 "Both my furniture and paddles intertwine beauty and form to create function and art simultaneously." situations around the world. 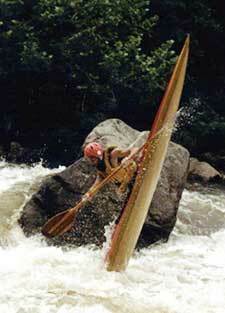 Paddle on my friends! 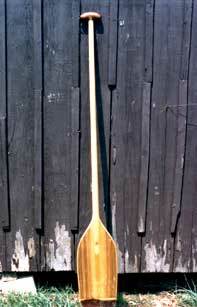 custom, top of the line paddle found in the world. All shaft construction is of the plate configuration using Ash and Basswood multi-laminations. The two halves of the paddle in Standard shafts are joined in the center by means of a high ratio scarf joint. 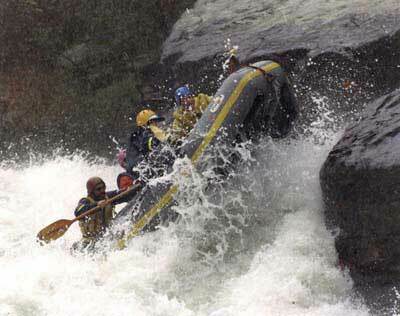 In a Twisted shaft the laminations run uninterrupted the whole length of the paddle shaft. 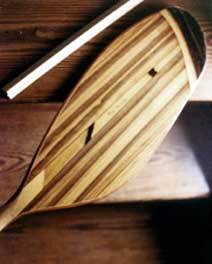 This lack of a scarf joint removes a stress riser as well as allowing the paddle to have a livelier action without sacrificing any strength. Carbon fiber re-enforced shaft, exotic hardwood edges and veneers are supplemental starting at $100. 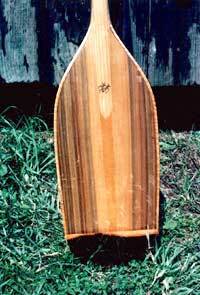 All exposed wood is epoxy coated...&...Entire paddle is varnished. Delivery time is between 2 and 12 months, and will be more accurately quoted at time of order.